The newest generation of the Ultima series. Years of competition experience and the latest technology combine to create the new RB7. 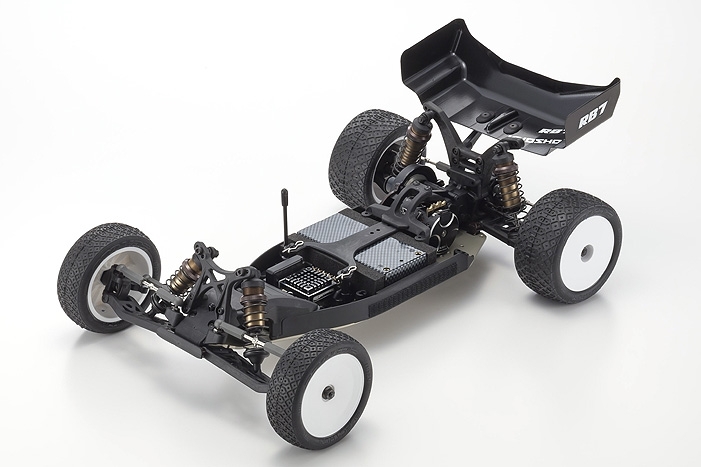 Having achieved the golden double of 1st place and TQ in the 2WD class at the 2013 IFMAR Electric Off-Road World Championship, the RB6 series has maintained its performance edge through continuous running change improvements. The RB7 represents the next evolution that excels with the increased power & speed on high-grip artificial turf and carpet surfaces of today’s off-road racing scene. 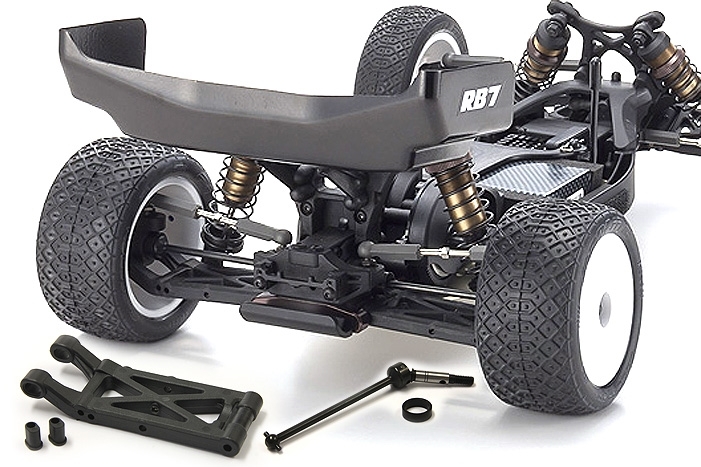 Based on the ultra low center of gravity of the RB6.6 low-down midship, the RB7 features improved flex characteristics from its thinner, lighter, and 4mm shorter wheelbase main chassis. Combined with a completely new aero body design, high downforce wing, new front and rear suspension arms and revised ackerman steering knuckles, the new RB7 is ready to take on the competition. 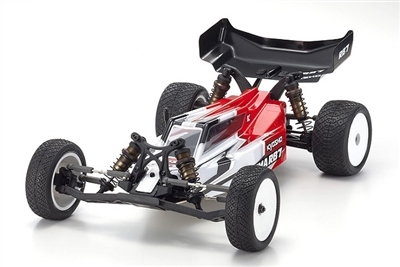 New body and wing with integrated fin for more traction and stability. New design "waterfall" transmission brace.